IMMUNIS COLUMBIA. RARITY-6+. ONLY ABOUT 20 KNOWN TO EXIST IN ALL GRADES. ONLY 3 COINS GRADED HIGHER. Like many states before the constitution was ratified, New Jersey minted its own coinage that celebrated the newly liberated United States. 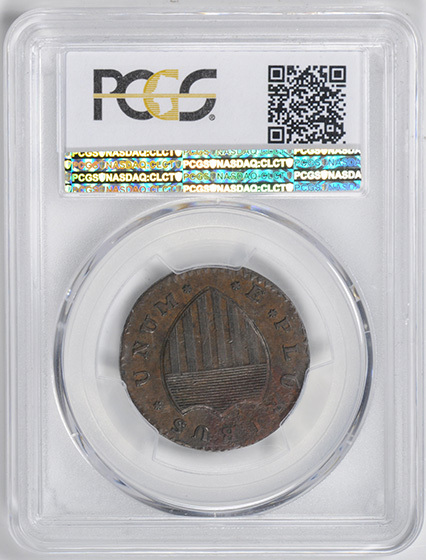 However, for years a man named Thomas Machin famously counterfeited several thousand States’ copper coins from his base, Machin Mills, in New York. 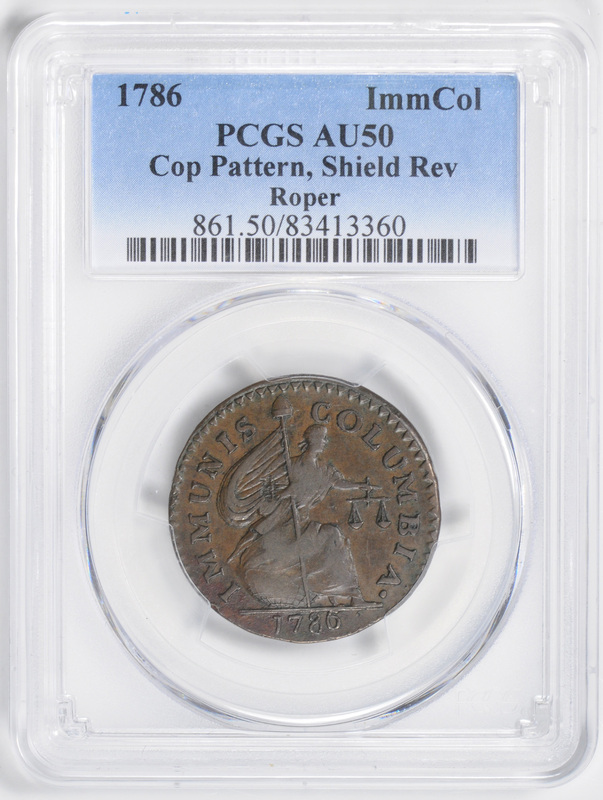 These coins were so well produced that they were widely accepted in many surrounding states. Among the states coins Machin counterfeited were Connecticut and New Jersey, which were considered his specialty. 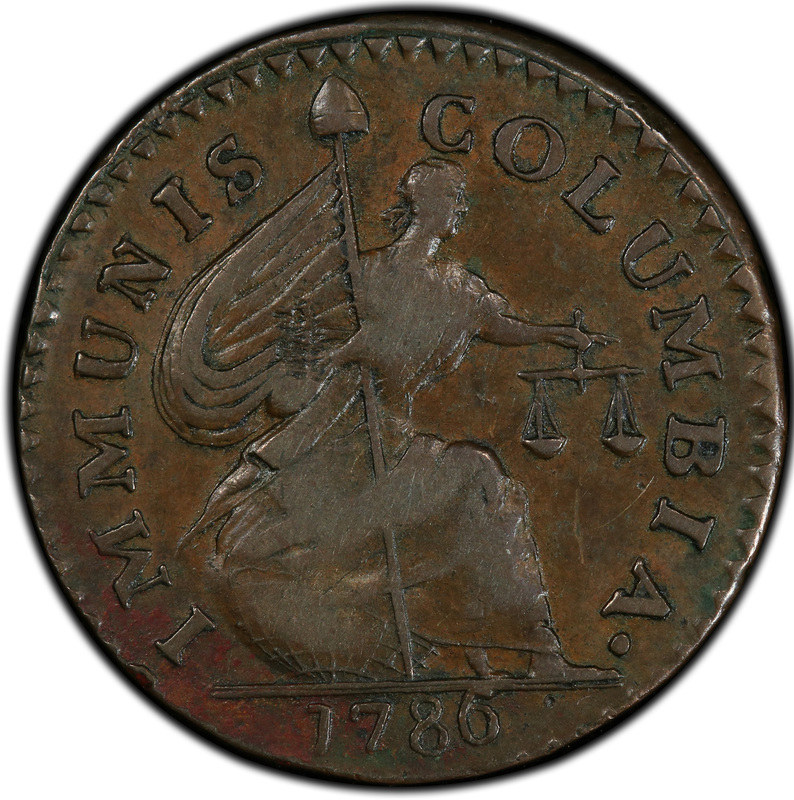 As a direct result of Machin’s large counterfeit overhaul New Jersey decided to pass a bill on June 1, 1786 to allow for the mintage of three million copper pieces. 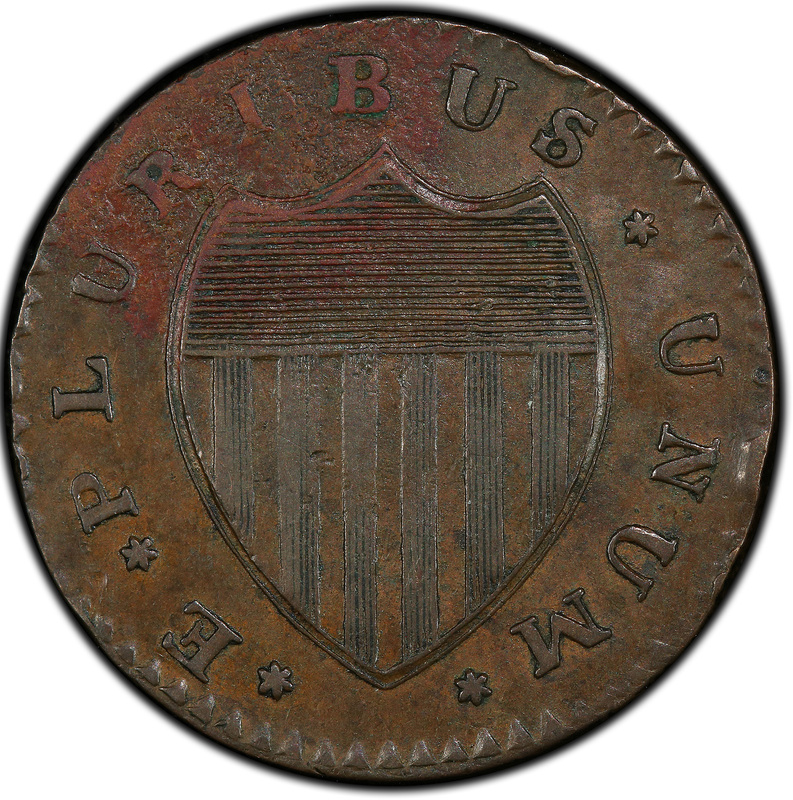 This project, overseen by General Matthias Ogden, minted the new version of the infamous New Jersey Coppers to be used only for the state. It is likely that these Conferatio Coppers were a part of this massive production catalyzed by the bill because Ogden is said to be its creator and the coins share die similarities to the state coppers.